In Pennsylvania, many moms are forced to choose between breastfeeding babies and earning a paycheck when their employers prevent them from expressing milk in the workplace. 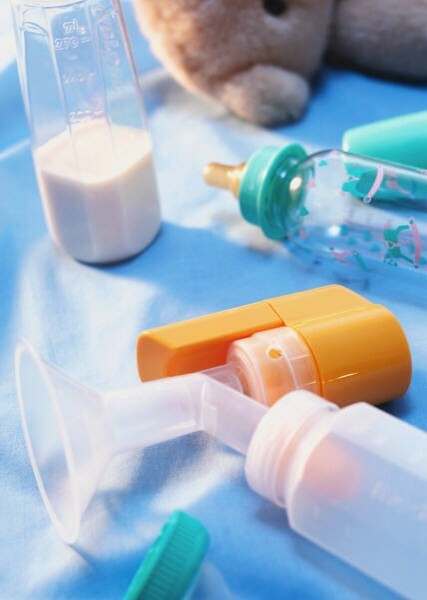 It is a basic biological fact that a woman who recently gave birth simply can’t go without expressing breast milk eight hours, five days a week, or perform even longer shift work, and still maintain her milk supply. Medical experts recommend breastfeeding exclusively for six months and up to a year, if it is mutually desired by mother and baby. The webinar will be hosted by the Women’s Law Project on Monday, August 22 at 3 PM. Nevertheless, Pennsylvania has failed to enact statewide workplace protections that would enable more new mothers to continue breastfeeding after returning to work. Perhaps this speaks to the priorities of a General Assembly that is 82% male. We invite you to learn more about this women’s health problem in Pennsylvania and the proposed legislative solution, the Workplace Accommodations for Nursing Mothers Act. The Act, HB1100, would help women not covered by the Affordable Care Act and require their employers to provide reasonable break time and a private, sanitary space to express breast milk. The bill has been stalled in the legislature since May, 2015. The Workplace Accommodations for Nursing Mothers Act is supported by the Pennsylvania Campaign for Women’s Health, a collaboration of more than 50 local, state and national organizations working together to call for common-sense policy solutions to real problems faced by Pennsylvania families. This webinar is free, but you must RSVP. Join the webinar to learn how to help working women in Pennsylvania. To learn more about the Pennsylvania Campaign for Women’s Health and to keep up with opportunities to advocate for women and girls in Pennsylvania, check out our website, like us on Facebook, and sign up for email updates. This entry was posted in Breastfeeding Workers on August 17, 2016 by PA4WH_Admin.